Our culture supports people going to detox or rehab, thinking this is the cure. Really, it’s just one part of the process for some people. Addiction is a chronic disease that needs ongoing maintenance just like diabetes, high blood pressure or asthma. 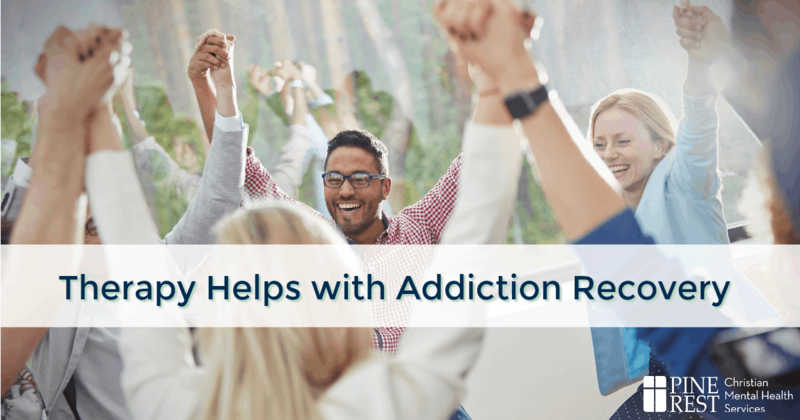 Studies show that individuals who receive follow-through care are more likely to maintain sobriety, and statistics show that those attending peer support groups and professionally-led groups have the greatest chance of success. What are some of the skills people in recovery can learn in therapy? • Learn new methods to unwind and relax, i.e. meditation, breathing techniques, exercise, etc. Do individuals need to ask for a specific type of therapy or therapist to address addiction issues? Although many different clinicians can provide therapy, I recommend working with a Certified Alcohol Drug Counselor (CADC) or a Certified Advanced Alcohol and Drug Counselor (CAADC). The requirements for this certification are quite extensive and include a great deal of training. These alcohol and drug counselors can draw from a range of therapies and experience so they can create a program that works best for each individual to meet personal goals. Which is More Beneficial? Individual or Group Sessions? Research has found that both individual and group sessions are highly beneficial. In individual therapy, the counselor acts more like a coach or personal trainer to help the individual use personal strengths to create a new life and manage the anxiety that comes with learning to live without the substance. Therapy would also address any behavioral health issues that are uncovered. Although group therapy might sound intimidating, most individuals really enjoy group because everyone is facing the same types of challenges. It’s very affirming to know you’re not alone. Where does Pine Rest offer therapy? We offer individual and family therapy in 12 clinics in the Western half of Michigan—from Kalamazoo to Traverse City—and group therapy at four. Both individual and group therapy are also now available through teletherapy services. Basically, the treatment is the same as in person, but the patients speaks to the counselor or group using an encrypted online video connection like Skype or Facetime. Is teletherapy for addiction as effective as in-person therapy? Yes! Teletherapy fills a gap for people who have a hard time getting to a clinic for in-person treatment … whether that’s an issue with transportation, work schedule, child care, or a random snow storm. Many of our patients and counselors using teletherapy were a little hesitant at first…because it was new. But many have really enjoyed it. They’ve said that once their session was underway, they nearly forgot they weren’t in the same room. I was a little hesitant to provide teletherapy at first, too. I feared that the environment might feel sterile or void of the connection that I enjoy with my patients, but my patients and I agree that we are able to connect well. What I’ve seen is that teletherapy makes it possible for some people to attend therapy … something they wouldn’t have been able to do without this option. That made me a believer! The Addiction Medicine program at Pine Rest is here to serve as a resource for your questions regarding addiction. Kathy Carruthers (left), LMSW, CAADC is a Licensed Master of Social Work and a Certified Alcohol and Drug Counselor. She is currently attending Walden University for her Doctorate of Social Work (DSW) with a specialty in addiction. She earned her Master of Social Work (MSW) degree from Grand Valley State University. 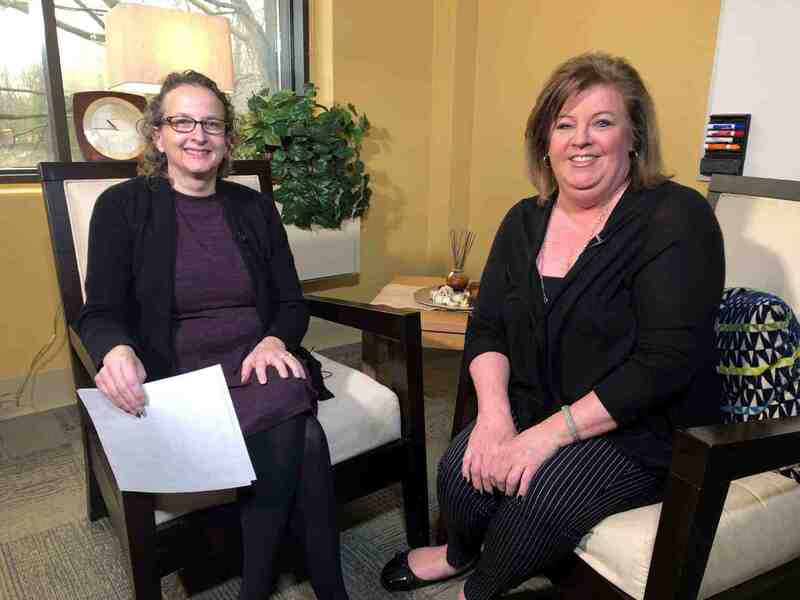 Kathy uses several different treatment modalities including cognitive behavioral therapy (CBT), dialectical behavioral therapy (DBT), solution-focused therapy (SFT), and motivational interviewing. She is willing to weave spirituality into any of her treatment modalities, and she also specializes in serving the deaf and hard of hearing.